The ride on toys can range from rocking horses to kid sized motorized vehicles. These rides differentiate each other based on the age group, type, safety, and other such factors. Following, we are giving you a few tips to buy a ride on toy for your child. Every ride on toy has some risk of tipping, falling and colliding. These risks can be controlled if you learn about the safety features before you buy. Simple toys lack brake but they move slowly so the child can easily control it. Saying this, we see many bikes don’t feature brakes. When it comes to motorized ride on toys, the battery should be placed in such a way that it can’t be accessed by the child no matter what. Seat belts and speed limit are also a must. Ride on toys that don’t tip over easily. You have to look for models that feature a low center of gravity. Rockers or wheels, they should be placed properly and should support your child’s weight and offer stability. Give it a push from side to see if it remains upright and let the child enjoy a supervised test run before you actually buy it. The ride on toys can be powered by your child’s feet, pushing peddling or from a battery motor. Every one of these tows are suitable for a certain age group. The self-propelled toys can wobble or tip if the child doesn’t know how to coordinate and push. The motorized toys need steering but you need to supervise to make sure he doesn’t run into any obstacle or overturn. 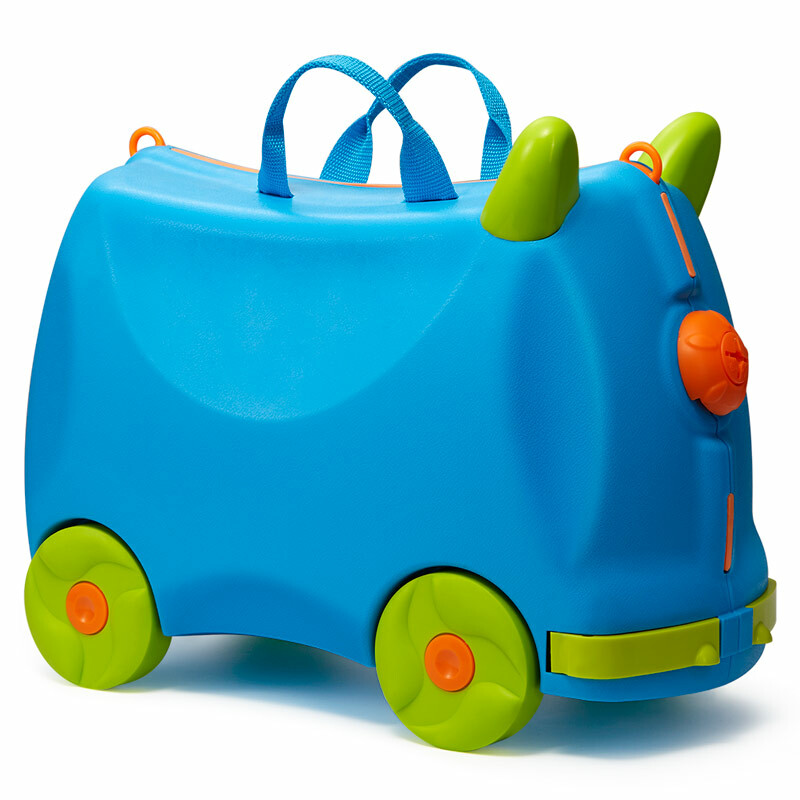 The trunki style ride on suitcase is a great Spanish beauty which serves as both a briefcase and a ride on toy. it’s careful design makes sure your child doesn’t tip over so easily. The ride is easy to control and is self-propelled by pushing. Great buy for your money!